There have been a handful of developments around these parts this week. One of them is that we have the liquor cabinet all set up, one of the few things we can say we're done with. I'd prefer not to wonder what my grandmother might think of where I put it all, in the beautiful credenza that once sat in her living room. I find it fascinating how we either love or hate the styles we grew up around. I never realized how similar our sensibilities were until I started looking for furniture of my own. (Believe it or not, I actually pinned the very same Louis XVI settees from her living room.) I love it. Every time I open the top drawer I'm transported back to another time. I'm eight years old, tapping out the melodies of Irving Berlin on the piano. I hope that smell never fades. JD reassured me that the chances are dim as it's likely been that way for fifty plus years. Fingers crossed. Now getting back on track. 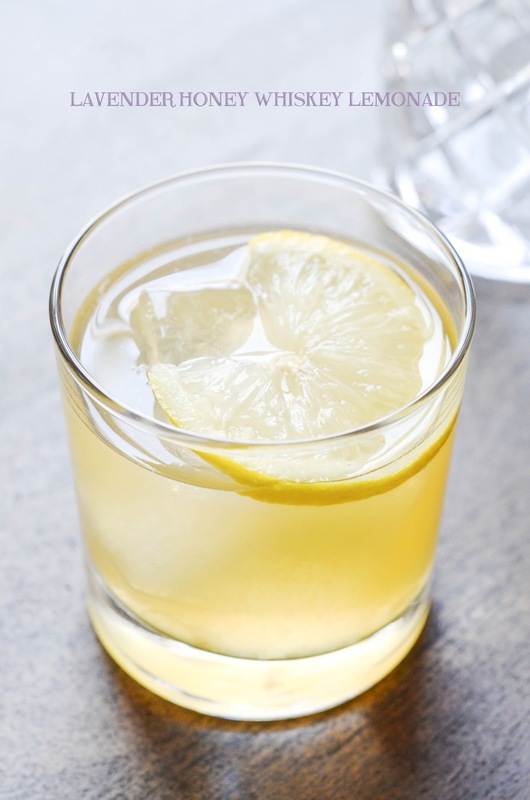 While looking for some easy spring cocktails to shake ourselves out of our old fashioned rut/routine, I came across one recipe for a lavender sour and another for a honey lemonade. Both sounded lovely and so I decided to combine the two flavors in one drink, resulting in lavender honey whiskey lemonade. It strikes the perfect balance, sweet and drinkable, full of spring flavor. 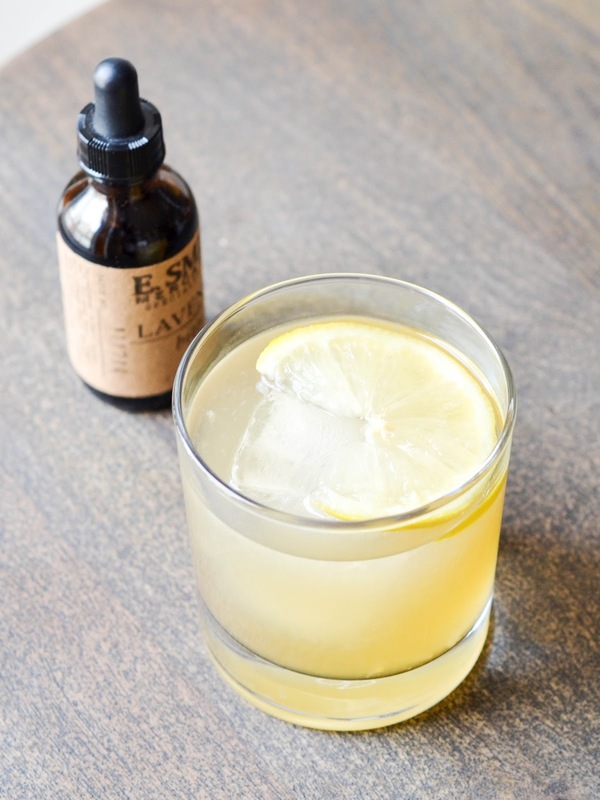 In a larger glass or shaker combine lemon juice, simple syrup, whiskey and lavender bitters. Stir, pour over ice, and enjoy. Garnish with lemon or fresh sprigs of lavender if you like. 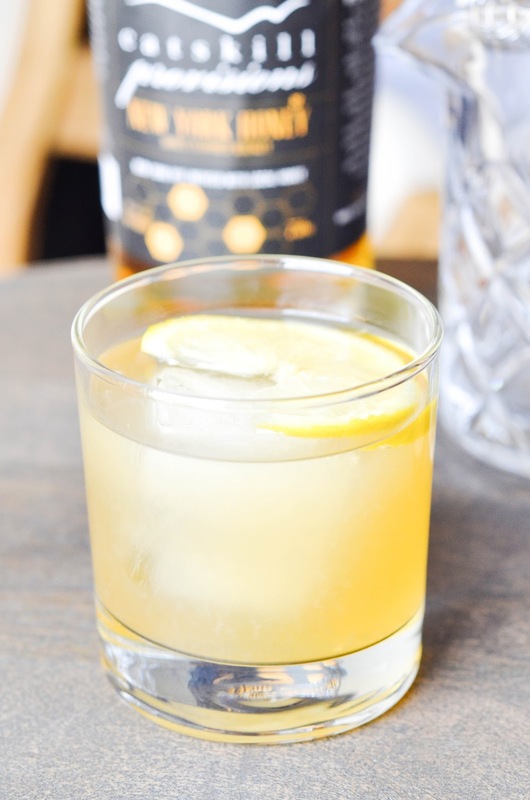 If you can't find honey whiskey or just don't feel like leaving the house, the regular kind will do just fine. To get that same sweet honey flavor, replace your standard simple syrup with a honey version by combining equal parts honey and water. That drink looks so pretty and refreshing!! I definitely will be thinking about that at 5 today for sure! Beautiful photography of it as well! Oh my goodness this drink soundssssss perfect! Ahhh! I'm totally pinning this for later. 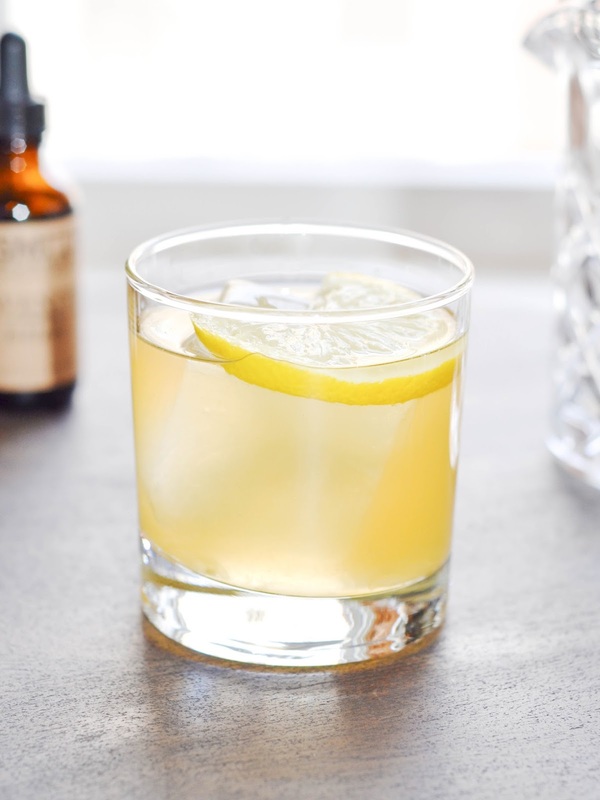 Sounds like a great cocktail - and relatively easy to make. We never make cocktails (usually sticking to wine) though I did take a neat cocktail class a few months ago. Maybe it's time to use what I learned! Looks delicious! We're big whiskey drinkers in my family, can't wait to share this with them!